There's nothing better than a closet purge. Sifting through the duds and landing on a wardrobe that speaks to the person you are—or the one you want to become—is a pretty empowering process. It leaves you with a sense of achievement, a cleaner space, a more distinct style...and a big ol' pile of clothes you need to figure out what to do with. While we all know that giving gently used clothes to charity is an amazing option, there are times when items are too worn down to pass onto someone else. In these cases, the trashcan is the last place you should head, since up to 95% of discarded clothes can actually be recycled into something new. By repurposing an item of old clothing, you're keeping it out of the landfill and honoring the natural resources that went into it. (It takes 700 gallons of water to produce a cotton t-shirt alone!) 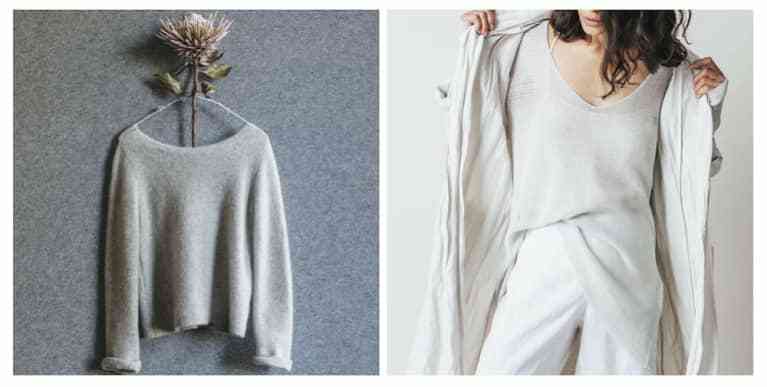 But not all of us are DIY-ers who know how to repurpose old clothes into new items, and we can only use so many rags cut out of old gym sweats. 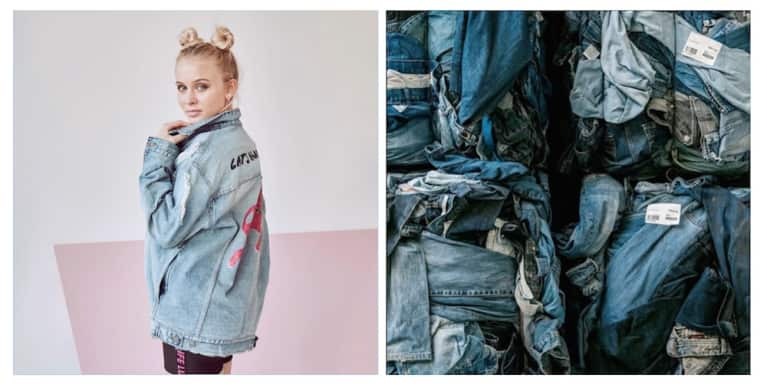 Thankfully, eco-conscious brands are kickstarting a movement of take-back and repair programs that make it easy, and fun, to breathe new life into old clothes. H&M's drop-off program invites shoppers to bring any unwanted garments (no matter the brand) to stores, where they can be sold as second-hand clothes or broken down into fiber. Since its 2013 launch, the program has collected more than 32,000 tons of garments to be reworn, reused or recycled. 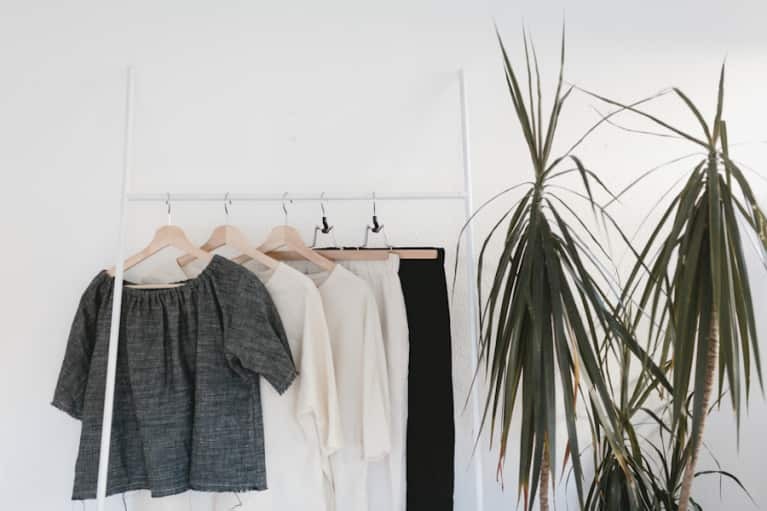 Eileen Fisher takes this idea a step further by offering store credit for every used garment customers return, though it must be Eileen Fisher brand. From there, they resell wearable items in Green Eileen stores, or break them down to be turned into something new. They invite customers to get involved in this process with community workshops that teach people how to upcycle effectively. 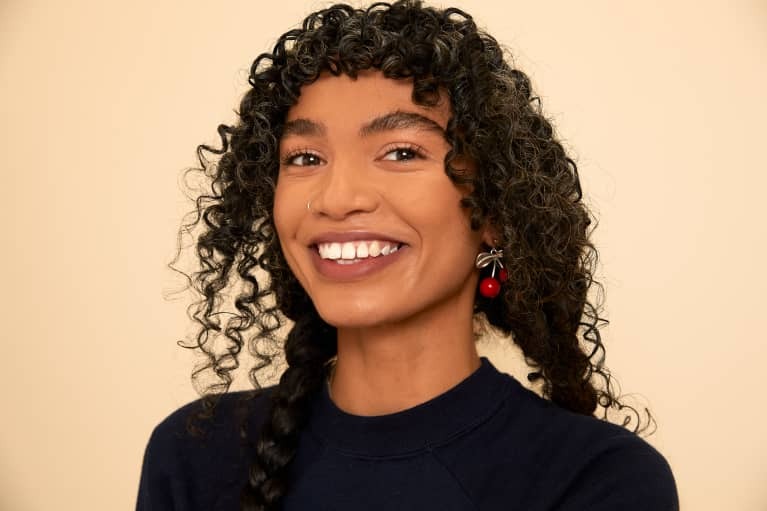 Hands-on events like "Ugly Sweater Crafting," where attendees rework used wool and cotton sweaters into seasonal festive pieces, show how fun it can be to take ownership over the entire life-cycle of your clothes. And no brand speaks to this idea that we should take full responsibility for our clothes like Patagonia and their Worn Wear van. 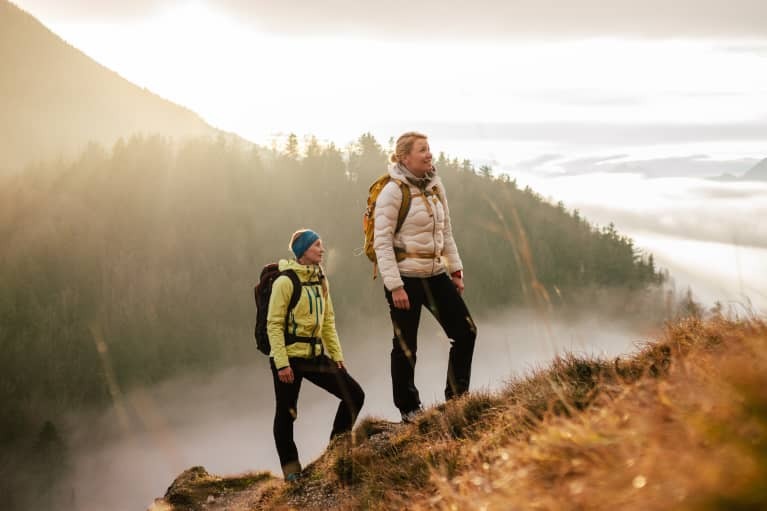 Owning a piece of Patagonia clothing is an act of environmentalism in itself, as all clothes come paired with a lifetime guarantee and are designed to be repaired. Many businesses churn out shiny new models to keep consumers coming back season after season. Patagonia wants you to buy one item and commit to taking care of it for life. A mobile extension of Patagonia's massive repair shop, which stitches up an average of 40,000 garments a year, the Worn Wear van tours the country with a seamstress team in tow. 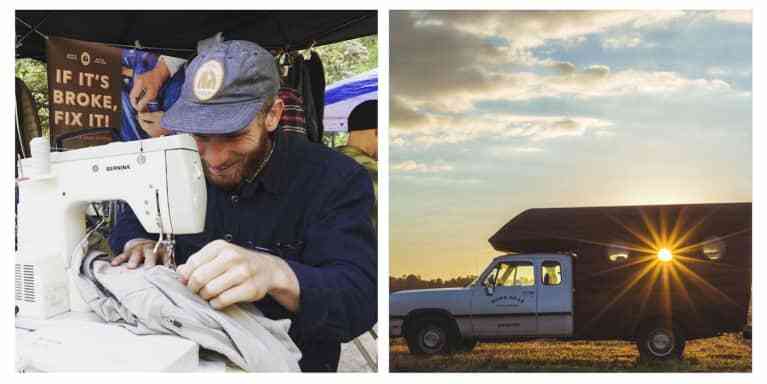 The squad teaches Patagonia lovers how to mend their favorite pieces back to life in an attempt to reduce the 10.5 million tons of clothing Americans send to landfills every year. Earlier this month, the solar-powered camper shell set out on its spring tour across college campuses. 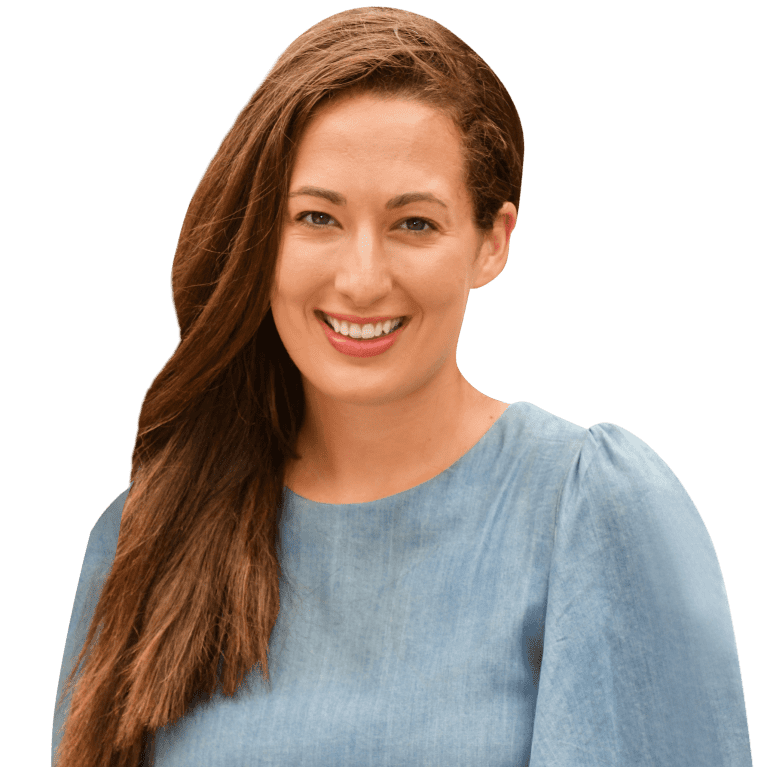 "We're seeing a very natural pattern developing where this younger generation is looking at ways to share things—work spaces, cars, you name it," explains Worn Wear Program Manager Nellie Cohen. "Maybe part of it is the circumstances of college students graduating with more debt than previous generations. Financially, they're not as able as their parents to buy so much 'stuff.' That seems to really coalesce with what Worn Wear is talking about: building really quality products and helping them get as much use possible, whether it's by one person or three." In addition to mending clothes and preaching the importance of a circular economy, the Worn Wear team will host engaging speakers like Adam Werbach, who become president of the Sierra Club at age 23. Nellie's advice for anyone who gets overwhelmed by repairs? A little confidence, thread, and tenacious tape may be all you need to complete the simple, powerful act of fixing instead of tossing.